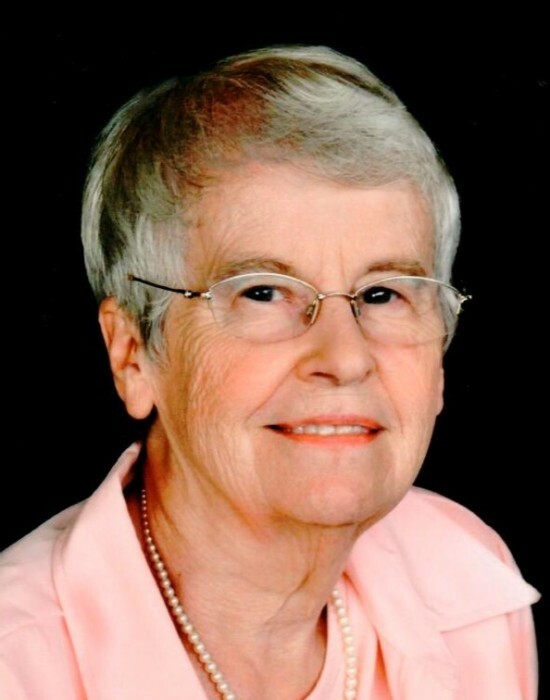 Obituary for Norma J. Bruening | Fleming & Billman Funeral Directors, Inc.
Norma J. Bruening, 87 of North Kingsville died Saturday (Oct. 20th) at University Hospitals of Cleveland. She was born April 26, 1931 in Dubois, Pennsylvania the daughter of Donald H. and Ruth A. (Mark) Erickson. She married Thomas Bruening on July 21, 1951. Norma is an active member of the East Springfield Federated Church in East Springfield, PA.
She loved spending time with her children, grandchildren and great grandchildren. Surviving her are her three daughters, Debra (David) Paxson of North Kingsville, Sharon (Tom) Bush of North Kingsville and Jill (Joseph) Thiel of Springfield, Illinois; Seven grandchildren, Clint, Shane, Tom, Lisa, Ryan, Kristin and Michael; thirteen great grandchildren and a sister, Phoebe (Donald) Marti of Charleston, SC. She was preceded in death by her parents; her husband Thomas in 2013 and by her brother, Don Erickson. Funeral service will be Friday (Oct. 26th) at 11:00 AM at the Ashtabula Home of Fleming & Billman Funeral Directors and Crematory, 526 W. Prospect Rd. Ashtabula with Pastors Joseph Thiel and Ed Huntly officiating. Burial will be in Greenlawn Memory Gardens in North Kingsville. The Fleming & Billman Funeral Home, Ashtabula, Geneva and Jefferson are honored to serve the Norma Bruening family. Condolences, light a candle and obituary at www.fleming-billman.com.